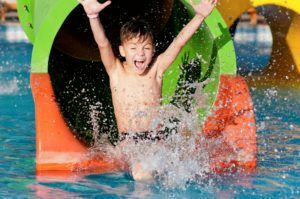 The Aqua View Motel is just minutes from the Shipwreck Island Waterpark, a massive and exciting waterpark with dozens of fun ways to cool off! There are rides, slides and pools for guests of all ages to enjoy, including the 500,000 gallon Ocean Motion Wave Pool and the relaxing Lazy River. If you have young children in your family, they will love the Tadpole Hole activity pools that are just for kids! For those who are looking for some thrills, Shipwreck Island Waterpark has some of the most action-packed water slides in the country! The White Knuckle River is a 660-foot twisting and turning inner tube ride, while the Pirate’s Plunge is a steep drop off a 60-foot-tall tower! If you get hungry during the day, the park offers plenty of delicious food such as pizza, hamburgers, hot dogs, ice cream and more! Another great way to keep cool this summer while staying at our hotel in Panama City Beach is to spend a day at the beach! 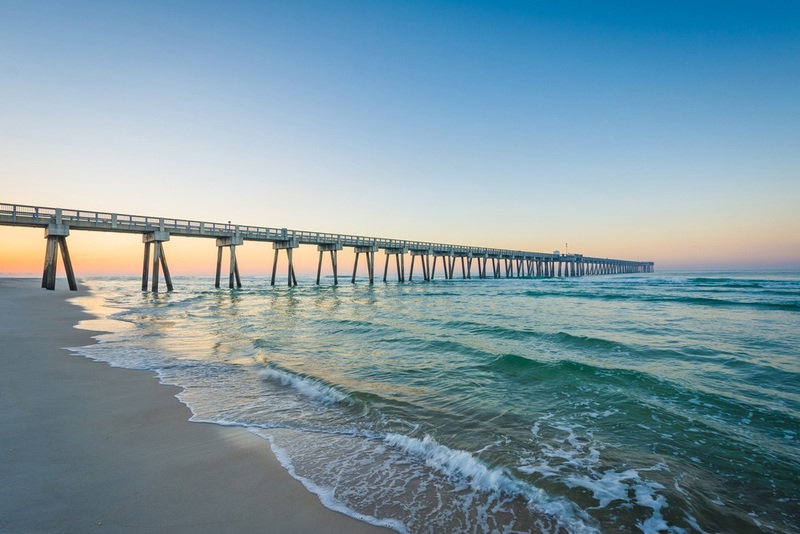 Whether you want to relax under your beach umbrella or go swimming in the Gulf of Mexico, find out for yourself why so many folks love the beaches of the Emerald Coast! There are nearly 100 public access beach points along Panama City Beach where you can access some of the world’s finest beaches for free! 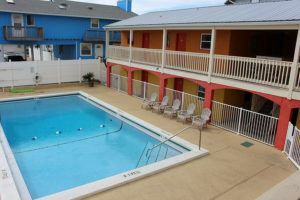 The Aqua View Motel is just steps from the beach, making it the perfect destination for your family vacation in Panama City Beach! After a day in the sun, you can look forward to coming back to our hotel to enjoy room amenities such as a cable television, mini-refrigerator, coffee maker and microwave. If you want to get away from the crowd on the beaches but still want to go swimming, take advantage of the swimming pool at the Aqua View Motel! Our beautiful outdoor swimming pool is practically just outside your hotel room door so that you can be in the cool pool water within minutes! Feel free to enjoy our pool on each day of your stay, including from the moment you check in at the front desk. After a long day of travel to reach Panama City Beach, there is nothing quite as refreshing as a dip in our swimming pool! Check out all of the rooms at our hotel in Panama City Beach today to plan your summer vacation to Florida’s Emerald Coast! 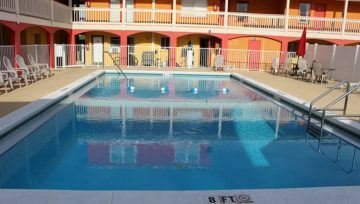 We look forward to seeing you soon at the Aqua View Motel!